Idea Shed | Blog: Creative Meetup. Latest news and bright ideas at the shed. 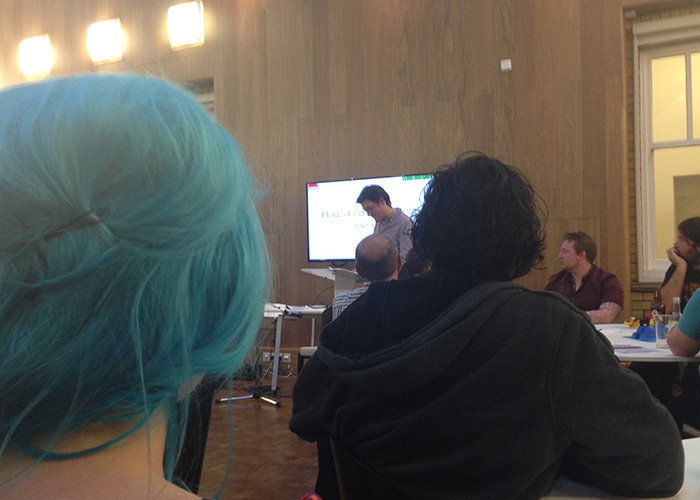 On Friday we attended Merthyrs first Creative Meetup at Redhouse (previously know as the Old Town Hall). Idea Shed visited the newly renovated building for the evenings event hosted by AOTV. 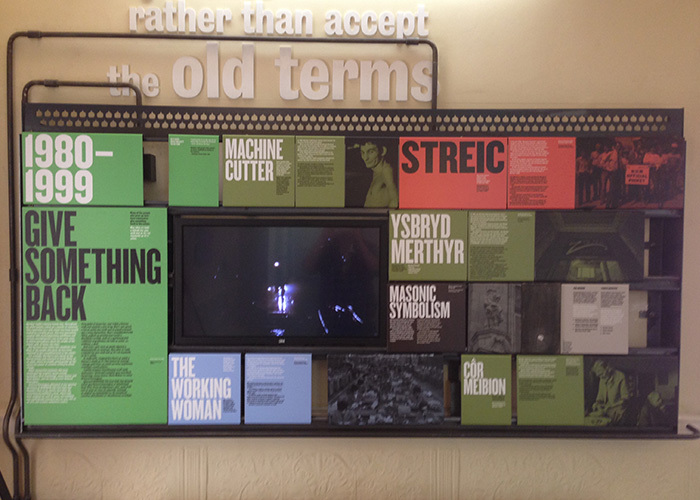 The Redhouse is situated at the heart of Merthyr Tydfil and has become the new hub for the creative industries. The refurbished old town hall was funded by Merthyr Tydfil Country Borough Council and many other organisations, the building has many facilities such as mac suite, theatre, dance studios, recording studios, and much much more. The Creative Meetup that took place at the Redhouse was hosted by a local film production company, AOTV. 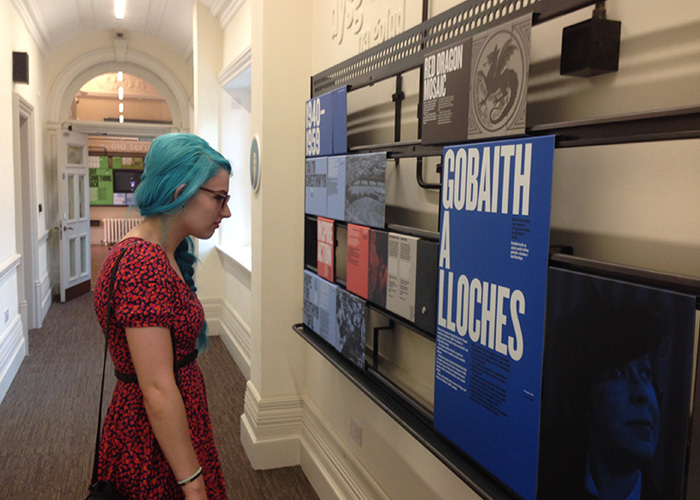 The event was to bring together creative businesses and individuals who are based in Merthyr. We arrived at the Redhouse and met with AOTV’s founder Dan Harris, who gave us freedom to have a little nose around the buildings facilities and admire the grandeur of the terracotta bricked exterior to its superb mix of new meets old interior design from the stain glassed windows to it steel wall plaques steeped in Merthyrs history and heritage. The night started with networking with individuals from a variety of creative background and industries, including some familiar faces. The presentation opened with AOTV’s Dan welcoming everyone and talking a little bit behind the evenings event followed by a performance from musician and song writer Dunkie. The event had many guest speakers from all walks of creative backgrounds, the first speaker was Gareth Cavanagh who was a lecturer at the now University of South Wales, ATRiuM, where we studied, and he now runs his own animation and VFX studio called Irontown Interactive here in Merthyr Tydfil. Followed by creative writer Mike Samuel, Merthyr Councils art development officer Gus Payne, Redhouse’s marketing officer and poet Lucy Corbett, Dai Shell (Sound Mixer) & Ellie Russell (Sound Designer) and singer Paul Black. The main talking point of the night seemed to focus on how we can improve the creative industry and the environment in Merthyr as well as improve and promote what we already have existing in the town. With many creative industries popping up in Merthyr, including us at Idea Shed, AOTV and many more, new development projects such as the Redhouse and others will help improve not only the creative industries, but others as well. It seems that everyones goal is to change the negative misconception about Merthyr Tydfil into a more positive one, highlighting that Merthyr is becoming a haven for the creative industries and the flourishing and prosperous community it once was.